Traveling by train, is so refined so classy, so distinguished… or at least that is what I thought. We decided to travel from Kuala Lumpur to Bangkok by train… it was to be a grand voyage. 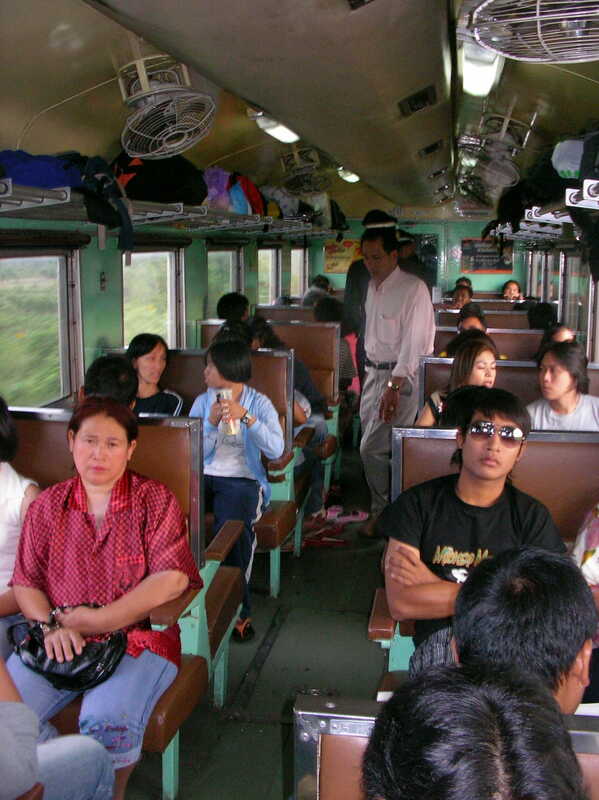 To get to Bangkok from Kuala Lumpur requires a train change at Hat Yai (just north of the boarder). 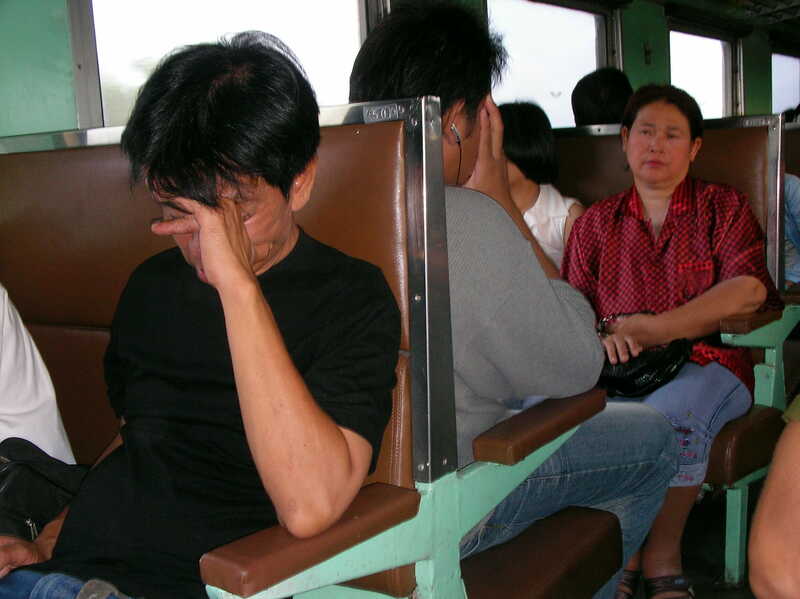 The First leg of our voyage (14h) was in an air conditioned sleeper car. Beds were lined up along the walls like sarcophagus, but they were comfortable; our bags unfortunately were not, and since there was no room for luggage they were on the beds with us. In a few days (when our visas arrive) we will be heading yo Laos, and then making our way south into Cambodia. I just developed 28 rolls of slide film (that’s 56 rolls total for this trip or over 2016 shots so far… eek), and some of the shots turned out really well, but since no one ever gave me a slide scanner, and I have not yet bought one you guys wont be seeing them (unless you know me personally and ask real nice). Actually if I can get some money when I get back home, I’ll buy a slide scanner and make a website to showcase all of the pics (just the good ones) from this trip, and all my other adventures.